Hyaluronic acid is one of the body’s natural components. It works as a coat around each cell in various tissues, especially in the skin and cartilages. In cartilages, for instance, hyaluronic acid improves the resistance of tissue to compression and offers an easy sliding surface between two cartilages. When it comes to the skin, hyaluronic acid surround dermal cells and helps in skin fullness, shaping and its youthful appearance, aside from its major role in wound healing. Hyaluronic acid can be made using genetically modified bacteria that manufactures human-grade hyaluronic acid. It is also called as non-animal hyaluronic acid. Synthesized hyaluronic acid has lots of cosmetic and medical applications. For the purpose of skin rejuvenation and youth restoration, dermal fillers are very popular as an injectable substance that can fill folds, smoother wrinkles and lines and add volume to the lips and cheeks. A recent study has been published by the Dermatologic Surgery comparing two types of dermal filler hyaluronic acid as an injectable dermal filler for the lips and perioral enhancement among two groups. 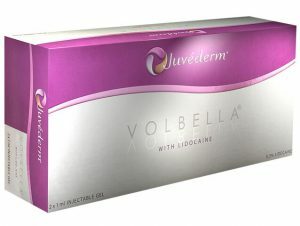 The first type of hyaluronic acid is the Juvederm Volbella XC (VYC-15L). Juvederm Volbella XC is a smooth, colorless, clear injectable gel that contains a tiny amount of lidocaine (local anesthetic). It is made using VYCross technology to create a specialized smooth gel filler that will last long. This dermal filler hyaluronic acid is usually injected directly around and into the lips through the use of an ultrafine needle to smoothen the appearance of lines around the perioral area or plump the lips for lip enhancement. The second dermal filler hyaluronic acid is the more advanced and expensive type, known as NASHA (non-animal stabilized hyaluronic acid). 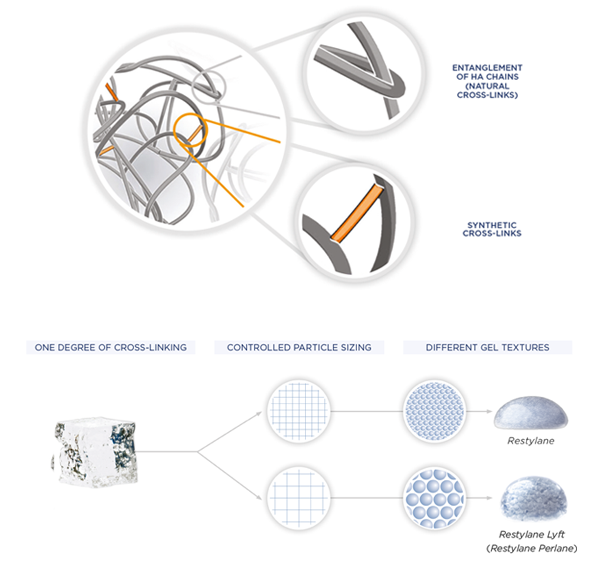 Patented NASHA technology keeps the natural molecular structure of dermal filler hyaluronic acid by keeping the way that HA molecules connect with each other. To ensure that NASHA dermal filler is not quickly degraded once administered and make the effects more long-lasting, cross-links are included between the HA molecules. This will make the result of NASA gels more stable and the effect more lasting. Top: NASHA preserves the natural way that HA molecules connect with each other (top) and includes some additional contacts (bottom) to make the results more long lasting. NASHA gels are modified minimally and carefully tested for impurities so they’re not identified by the body as foreign. This reduces unwanted reactions to the gels. The two groups, composed of 225 randomized adults who got lip and perioral enhancements by administering VYC-15L or NASHA. Juvederm Volbella XC’s results were assessed at 3 months and after 1 year, along with NASHA through the use of Lip Fullness Scale (LFS). Based on assessment, the general results were similar in both groups. In addition, when complications and safety outcome were checked, researchers discovered that the dermal filler hyaluronic acid treatment with Juvederm Volbella XC delivers less distraction to usual daily activities as compared to NASHA treatment. This only shows that Juvederm Volbella XC isn’t inferior to NASHA when it comes to effectiveness and safety on lip and perioral enhancement.